With a foreword by Captain John Sail, National Chairman of the Merchant Navy Association, this official book encourages a new generation to engage with and discover for themselves why more than 185,000 British and Commonwealth merchant seamen volunteered to stand against an all-powerful enemy that enslaved many of the free nations of Europe. 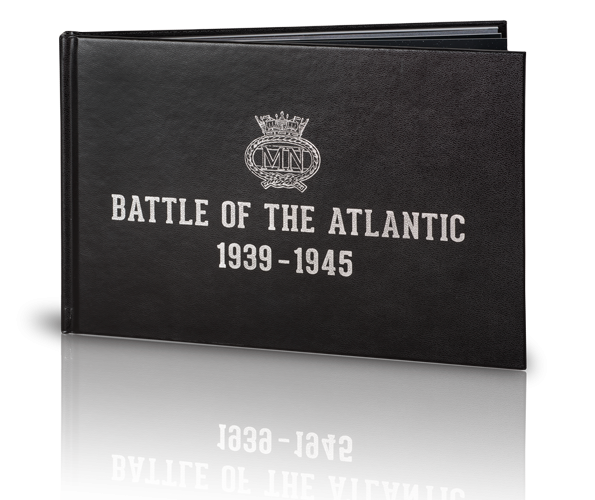 From the origins of the battle in the early days of September 1939, the book explores the horrors faced and the sacrifices made by our merchant sailors – the ‘Quiet Heroes of the Sea’ - through the duration of the Second World War, which ultimately played a key role in the efforts to secure the freedom and liberty we take for granted today. Join the ‘Forgotten Fourth Service’, and experience the longest, hardest and most complex naval battle in history up close! Hardback over 50 pages featuring original wartime illustrations and photographs.